Harvest time! The fruits of the 2018 campaign were hand-picked on September 20 (Merlot) and 29 (Cabernet). 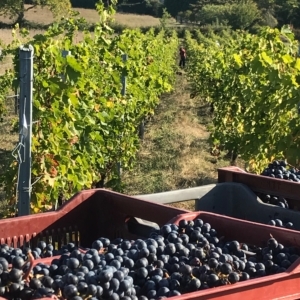 After a difficult year (until mid-July) because of mildew, 2018 offered us beautiful harvest under the sun. The vats have welcomed rich grapes, colorful but with a nice acidity. The vintage should therefore give us well-balanced wines – I do not like this term because it often means average level in every component of the wine therefore a lack of personality which is really not the case here. Something between 2015 and 2016 … 2 very great vintages. The alchemy of fermentations and ageing must then operate to confirm these promises. 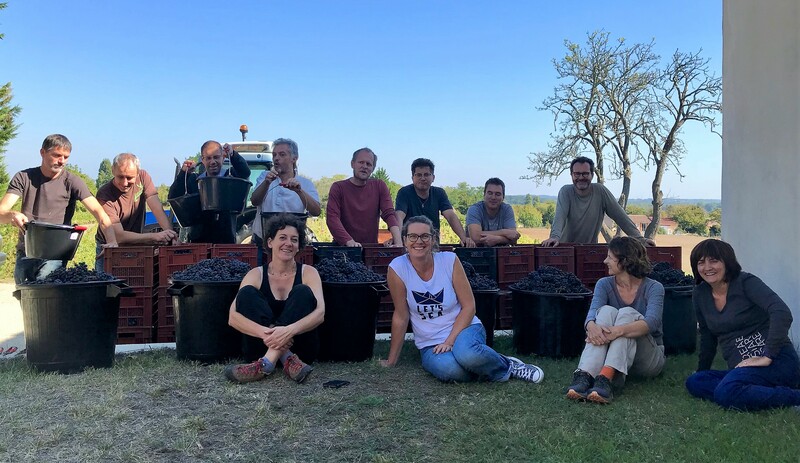 Thanks to the harvesters, especially Gwen, Béa, Valérie, Marie, Gaël, Lionel, Michel, Stephane, Pierre, François, Dany but also Gaby, Lili and Zoé for the hand-destemming of cabernet grapes! Here we come again, La Rochelle!